From a lifestyle perspective, I've really not done anything differently - I still drink my daily cup of coffee every morning and haven't experienced any noticeable re-staining at all. I've gotten into the habit of starting my teeth whitening process around 9:00 pm so that I have enough time to whiten and desensitize my teeth before bed. When I first started Smile Brilliant I stuck with the minimum 30 minute whitening time frame and then increased that length over time. I did notice sensitivity after the first few sessions, particularly on my gums. After reaching out to Smile Brilliant they recommended I try applying a layer of Vaseline to my gums with a q-tip prior to whitening to create a barrier thus reducing the sensitivity. This helped a lot and after a few more sessions I didn't even need to use the Vaseline trick anymore. I was finally able to increase my average whitening time to an hour and a half to two hours without sensitivity issues. I was absolutely diligent about using the desensitizing gel after each and every whitening session for the recommended 20 minutes and am sure that helped my sensitive teeth quite a bit. 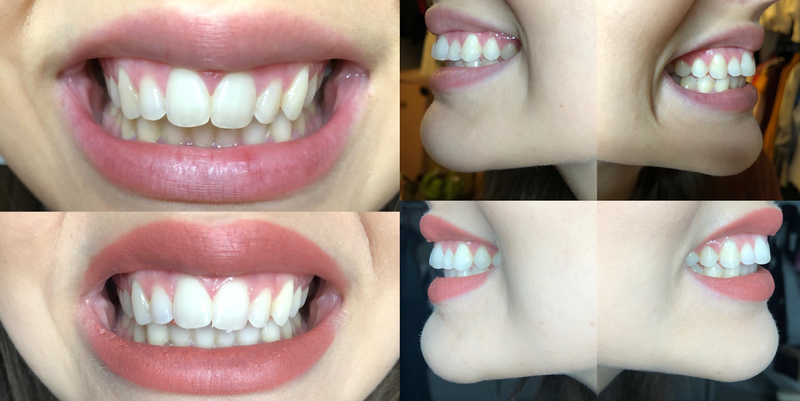 My at-night whitening sessions have also helped me establish a way better bedtime routine while also preventing me from eating as late - both habits I've been desperate to get into! Overall my experience with Smile Brilliant has been great. I feel like their products are high quality, easy to use, and come with a lot of support from the company itself which is awesome. I do plan on continuing to use my trays and the whitening/desensitizing gels for the foreseeable future but probably more in a maintenance capacity as opposed to a daily treatment. If you have any questions that I didn't answer in my review please let me know - I'm happy to share whatever you're curious about! Our giveaway is for a $149 Smile Brilliant credit and is open to USA, UK, Australia, and Canadian residents. All entrants must enter their email address to be entered! ohhh..nice blog and product to whiten teeth. I will definitely use this product to get whiten teeth. Dental Care Near Me is really good dental care.